As the original main village of the resort, Tignes le Lac is one of the most popular destinations for European skiers, with easy access to the Espace Killy runs and some truly jaw-dropping scenery to marvel at. Tignes is made up of three resorts, Tignes le Lavachet, the lowest of the three, Tignes le Lac, located by the lake and Tignes Val Claret, situated 2km up the valley beyond the lake. There is also Tignes Les Boisses and Tignes Les Brevieres quietly set amoung the trees lower down the valley. Tignes le Lac tends to be slightly busier than many of the other villages, but it’s close proximity to the slopes and breathtaking scenery make it one of the best options for skiers. Transport is available from here to Val D’Isere and towards the intermediate-friendly pistes at the other side of the valley, while the hotels here are truly exceptional, including the marvelous Chalet Hotel Rosset. 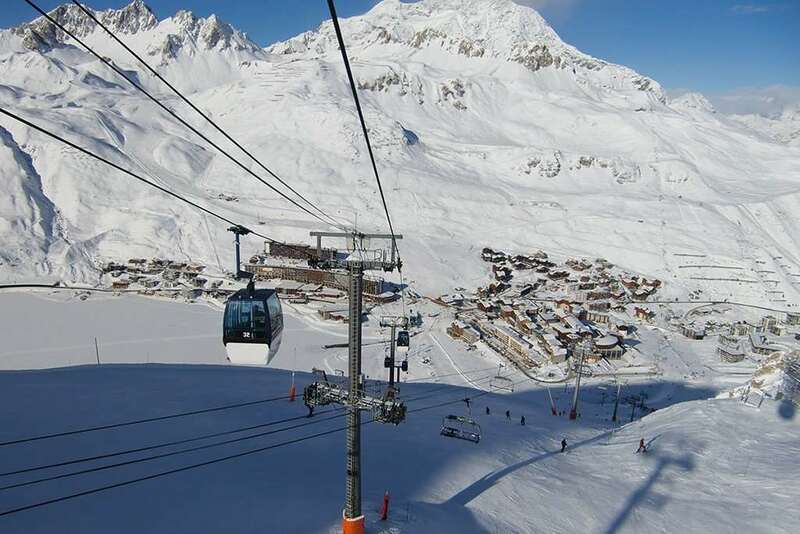 Skiing Holidays are available all year round in Tignes due to the Grande Motte glacier. Its high altidude and good snow cover also means that the winter season starts as early as November and runs right through to May. Everyone will find something to appreciate about the variety of runs across the resort, with plenty of options regardless of the ability of visitors. There are some excellent nursery slopes nearby to help newcomers become more comfortable on the snow, while intermediates and experts can look forward to at the Grande Motte, where there are some extraordinarily fast runs. Tignes Le Lac has a fantastic selection of shops, cafes and restaurants; including the Le Loop and Jam Bar, which offer a lively night out. However, if you’re looking for some peace and quiet, Chalet Grande Tourne is the place to be, with minimal noise and a relaxed atmosphere. In the centre of the village, travellers can look forward to an amazing variety of bakeries, patisseries and winter sports shops. It’s a fantastic place to find some bargains and upgrade your equipment. The nearest airport to Tignes Le Lac is Chambery, which is around two hours away by car. Maybe we were lucky, being among the first visitors, but we had a terrific week at Chalet Cairn. The chalet was clean, comfortable and well-located. It was a short, easy, slightly-downhill walk to the centre and lifts, then possible to ski back to the other side of the road at the end of the morning or day. Staff were outstanding hosts - helpful, friendly and skilled cooks. There were lifts heading off in several directions, so Tignes-le-Lac proved a great centre. We had no trouble covering all the terrain from the far side of Val d'Isere to the lower slopes of Tignes in a week. Highly recommended. I've just returned from another foray to the Espace Killy but this time I stayed up at Tignes Le Lac rather than down in Val d'Isére. It's a very different resort. I loved being able to get higher quicker in the mornings and being able to ski back to within 50m of my chalet. I found the best après ski bars were up in Val Claret but it is an easy bus ride back to Le lac after the sun goes down. This season was supposed to be one of poor snow. Well I beg to differ. I did 2 new back country routes that I haven't been able to do in the past and knee deep powder was found on Grande Motte. It was sunny all week but it stayed cold enough to save the snow and the piste was in magnificent fast carving form. My number one recommendation is to book for the restaurant Clin d'Oeil on the main strip. This place is small, cosy and actually serves cracking food. Unless you love fondue, that is pretty had to find in most resorts. I can also report that the Tartiflette in La Trifollette above la Daille but below Folie Douce between the Green and Red pistes is the best in the region. I still favour Val d'Isére because of the nightlife but if you are into cheaper skiing and faster access to higher slopes then Tignes ticks those boxes admirably.